Jason, a 2006 Hawthorne Gold bass drummer, sent this picture. 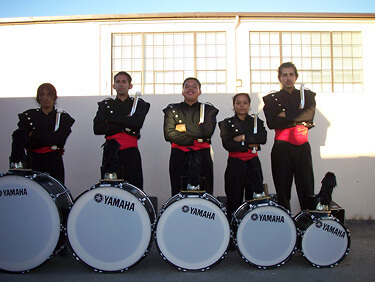 This is a photo the 2006 Hawthorne Gold bass line. They are the best bass drummers I ever had the pleasure of marching with. Left to right: Dennis, Kevin, Jean, Loreana and me.